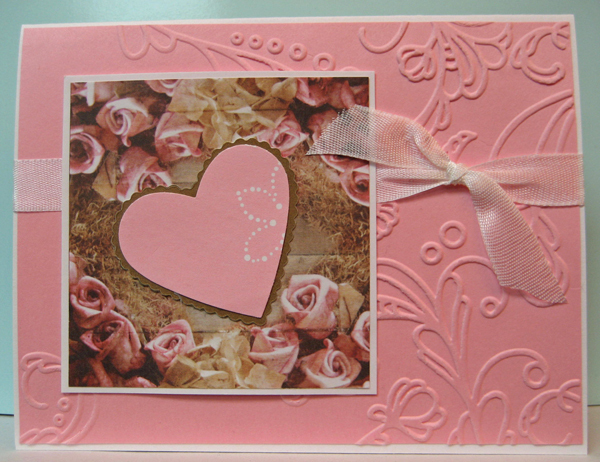 My sister, Sylvia, makes lots of her cards without greetings so they are appropriate for several occasions. Love the versatility!! So I decided to challenge myself to doing the same. For this card I started with a white card and added an embossed pink background layer which I embossed with a floral flourish embossing folder (SU). I like that it nicely fills the right hand side of the card with texture. 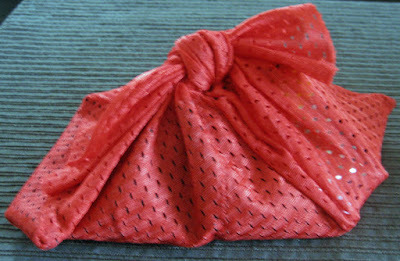 I added a length of white vintage seam binding and tie on another short piece with a single knot to simulate a bow. I layered a pink heart punchie (SU) over a gold die cut (SU) which I mounted using 3D foam tape over a small piece of roses decorative paper layered over white cardstock leaving a very small border. I mounted the heart focal element over the seam binding using double sided tape. Love how it turned out!! This card would be appropriate for a wedding, anniversary, Valentine's or possibly a birthday for someone special and I am encouraged to consider making more of my cards without greetings to make them more versatile!! Do you sometimes make cards without greetings?? I am coming to see the value of doing it especially when making cards for my stash.